See a video of Lash discussing how she develops musical ideas for her compositions, and plays with some examples of such ideas at the piano. So she wrote Violations: The Loading Dock Project, a 35-minute piece for five instruments and three singers that will premiere at Yale on March 28. Lash will mount subsequent performances in a bona fide loading dock—a “rough and public” space approximating a stage that will perhaps convey the grimy transfer of her property. The libretto speaks of loss, but also of the vexing relationship of thief and victim. “It’s recognizing the intense fallibility behind what we think of as evil,” she says. Such dark thoughts don’t immediately gibe with Lash’s fresh, breezy demeanor. Her music, though, clearly displays her intensity. The vibraphone-and-piano composition C is six minutes of frenetic fretting; her 2011 piece Music for Loss, written after her father died last year, starts with a celesta, xylophone, and glockenspiel conveying a gentle, almost crystalline-sounding trip backward through time. Eventually, accompanied by increasing disquietude and poignant probing, it culminates in a crescendo of realization. 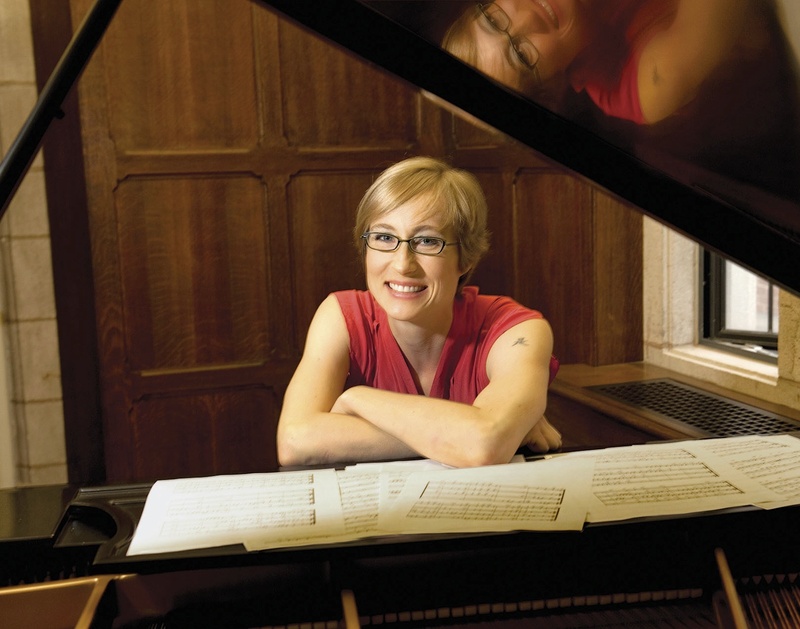 That engine revved up long before she entered the Eastman School of Music at 16; Lash was homeschooled in rural Michigan by her librarian parents, who aimed to offer their daughter a less compartmentalized approach to learning, allowing her “the run of a library,” as she says. It also allowed her to develop her innate calling early on: Lash first picked up a violin at age four. Because she could not yet read music, she devised her own unique notation of Xs and triangles and squiggles. “I spent 90 percent of my time doing some form of music, whether it was writing, playing, or listening,” she says. Serendipitously, while playing harp for The Fantasticks in New York, she met actor Steve Routman; they married in 2010. Not being especially religious, Lash eschewed both a traditional ceremony and traditional music. Instead, she gave her guests instruments and what she calls “a graphic score” so they could play an original percussive piece for chimes, bells, a small gong, and two Tibetan singing bowls. Like all of her work, it was keenly felt.